About us | Suprahealth S&R Engineering Ltd. 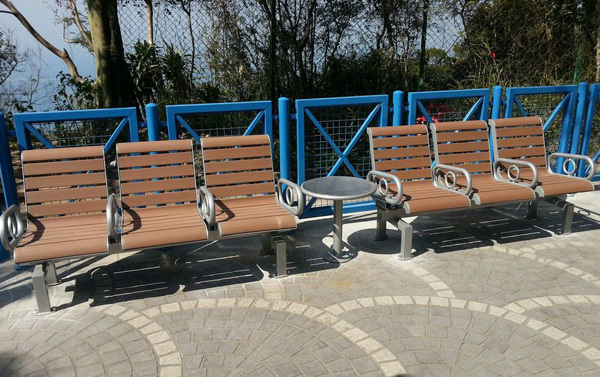 Established in 2005, Suprahealth S&R Engineering Ltd aim to provide safe, high quality, fun and beautiful landscape, sports and recreation facilities for the communities of Hong Kong, Macau and Mainland China. To help creating an artistic, joyful, comfortable and beautiful environment for the city, we introduce leisure, recreation and sport facilities from all over the world. Our main clients include private communities, educational organizations, major land developers and public sectors, namely Architectural Services Department, Leisure & Cultural Services Department, Housing Authority and Home Affairs Department. SUPRAHEALTH put safety first. Our facilities and products comply with multiple safety standards. To promote environmental awareness, we are proud to provide our products that utilize proven green materials to enhance the lives of people. Our significant use of recycled materials offers you a responsible choice for your facilities.